Completed 2006. 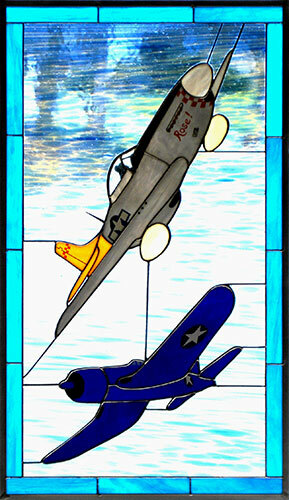 The Corsair and Mustang are featured in the panel that was a birthday present. The gift was first viewed by the birthday boy when he visited our display at the Sun ‘n Fun airshow. Was he surprised!